B.A. programme at McGill University, Montreal, Major in Jewish Studies and Philosophy. Degree awarded 1972. Prof. E. S. Rosenthal. Degree awarded June 1976. Prof. E. S. Rosenthal. Degree awarded June 1982. Guest of the Oxford Centre for Post Graduate Hebrew Studies, Oxford U.K. Junior fellow of Institute for Advanced Studies, Hebrew University, Jerusalem. Scholarship from Canadian Friends of the Hebrew University. Scholarships from the Canadian Foundation for Jewish Culture; Hebrew University Faculty of Humanities. Scholarship from Canadian Foundation for Jewish Culture. Nisslewitz Prize, Faculty of Humanities, Hebrew University. Scholarship from Hebrew University Faculty of Humanities; "Sha'al (University Service Abroad) Award, Institute of Jewish Studies, Hebrew University. Fellow of Canada Council for Humanities and Social Sciences. Fellow of Social Sciences and Humanities Research Council of Canada. Scholarship, Institute of Jewish Studies, Hebrew University. Lady Davis Fellow; grant from Memorial Foundation for Jewish Culture. A. Urbach Memorial Prize, Hebrew University. E. S. Rosenthal Memorial Award, Talmud Department, Hebrew University. Finkelstein Scholarships, Lieberman Institute for Talmudic Research, Jewish Theological Seminary of America. University of Calgary Visiting Scholars Grant (Albert Baumgarten). University of Calgary Short-term Project Research Grant--The Babylonian Midrash on Esther: A Critical Commentary. Fellow of the Calgary Institute for the Humanities. University of Calgary University Research Grants Committee, Visiting Scholar Award (Avraham David). American Academy of Religion / Lilly Foundation Teaching Workshop-- Grant to participate in a series of four workshops on the academic teaching of Religious Studies. Lady Davis Fellowship Trust Visiting Professor Grant for research at the Hebrew University of Jerusalem. Honorary Membership, Sikh Business and Professional Club, Calgary. Included in Canadian Who's Who (University of Toronto Press, p. 1170). 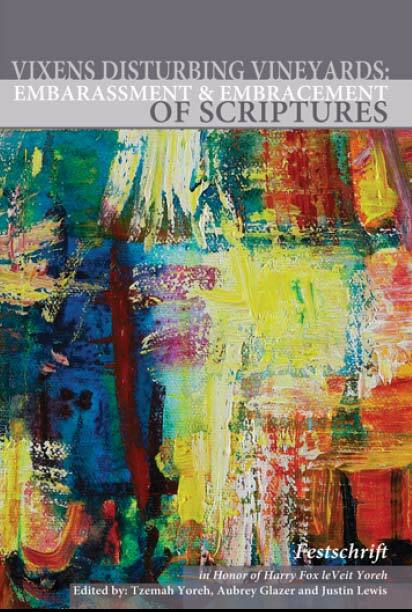 Canadian Federation for the Humanities and Social Sciences: Aid to Scholarly Publication grant, for book From Sermon to Commentary: Expounding the Bible in Talmudic Babylonia (Wilfrid Laurier University Press). 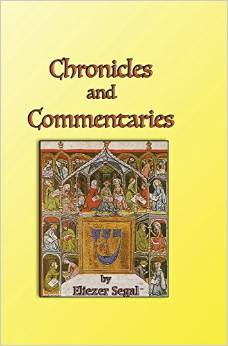 Awarded the Nachman Sokol-Chaim Yoel and Mollie Halberstadt Award for Scholarship: Biblical / Rabbinic, the Helen and Stan Vine Annual Canadian Jewish Book Awards; for: From Sermon to Commentary: Expounding the Bible in Talmudic Babylonia..
T. A., Department of Hebrew Language, Hebrew University (Aramaic). Instructor of Talmud Summer Courses, Hebrew University. Lecturer in Talmud, Jewish Theological Seminary of America, Jerusalem Campus. Instructor in Mishnah, Jewish Theological Seminary of America, Jerusalem Campus. Instructor in Palestinian Talmud and Mishnah, Jewish Theological Seminary, Jerusalem. Instructor in Talmud preparatory courses, Hebrew University. Curriculum consultant, Everyman's University, Israel (Course: From Jerusalem to Yavneh, English version). Instructor in Talmud and Aggadah, Bar-llan University, Ramat-Gan Israel. Research Fellow, Saul Lieberman Talmudic Research Institute, Jewish Theological Seminary of America (critical commentary on TB Megillah, ch. 1). Talmud instructor, Centre for Conservative Judaism, Jerusalem (adult education). Teacher, Midrashah East-Bay Community Jewish High School). Assistant Professor of Religious Studies, University of Calgary. House of Jacob Congregation, Calgary, "Machon" High School Programme. "Survey of Jewish History", "Midrash". Associate Professor of Religious Studies, University of Calgary. Participant, Study Group on Jewish History During the Eras of the Mishnah and Talmud, Institute for Advanced Studies, The Hebrew University of Jerusalem, Sept. 1992-May 1993. Researcher, The Society for the Interpretation of the Talmud (Jerusalem) (project for the publication of critical commentaries on chapters from the Talmud). Participant, Philology Research Group, University of Calgary. "A Page of Talmud" World Wide Web site incorporated into 'Introduction to Talmud' on-line credit course offered by the Jewish Theological Seminary of America, New York. Full Professor of Religious Studies, University of Calgary. Participant, Summer Institute on "The Spiritual Roots of Restorative Justice" sponsored by the Social Sciences and Humanities Research Council of Canada, University of Victoria, Conrad Grebel College (University of Waterloo), Chaplaincy (Corrections Service Canada), and International Centre for Criminal Law Reform (University of British Columbia). Orion Visiting Scholar, Orion Center for the Study of the Dead Sea Scrolls and Associated Literature, The Hebrew University of Jerusalem. Taught course "Aggadah in the Land of Israel and Babylonia," Department of Talmud, The Hebrew University of Jerusalem (Winter 2000 term). 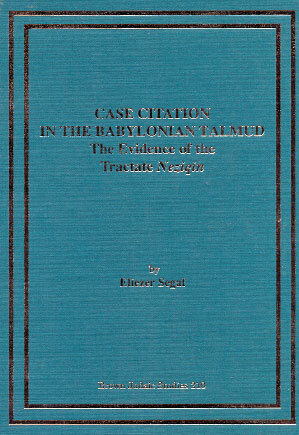 Case Citation in the Babylonian Talmud: The Evidence of Tractate Neziqin, Atlanta: Brown Judaic Studies, 1990 (329 pages). The Babylonian Esther Midrash: A Critical Commentary Volume One: To the End of Esther Chapter 1, Atlanta: Brown Judaic Studies, 1994 (330 pages). The Babylonian Esther Midrash: A Critical Commentary Volume Two: To the Beginning of Esther Chapter 5, Atlanta: Brown Judaic Studies, 1994 (360 pages). The Babylonian Esther Midrash: A Critical Commentary Volume Three: Esther Chapter 5 to End, Atlanta: Brown Judaic Studies, 1994 (308 pages). Why Didn't I Learn This in Hebrew School, Northvale NJ: Jason Aronson, 1999 (367 pages). Holidays, History and Halakhah, Northvale NJ: Jason Aronson, 2001 (251 pages). Ask Now of the Days That Are Past, Calgary: University of Calgary Press 2005 (311 pages). From Sermon to Commentary: Expounding the Bible in Talmudic Babylonia, Studies in Christianity and Judaism, ed. Stephen G. Wilson. Waterloo: Wilfrid Laurier University Press, 2005 (170 pages). 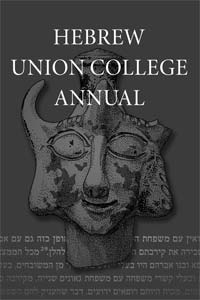 In Those Days, at This Time: Holiness and History in the Jewish Calendar, University of Calgary Press, 2007 (324 pages). 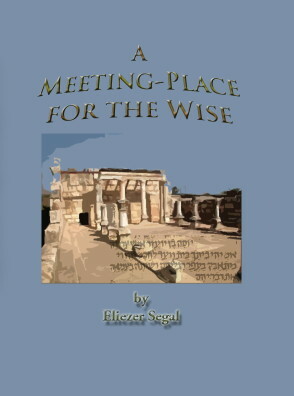 A Meeting-Place for the Wise: More Excursions into the Jewish Past and Present. Calgary: Alberta Judaic Library, 2008 (216 pages). 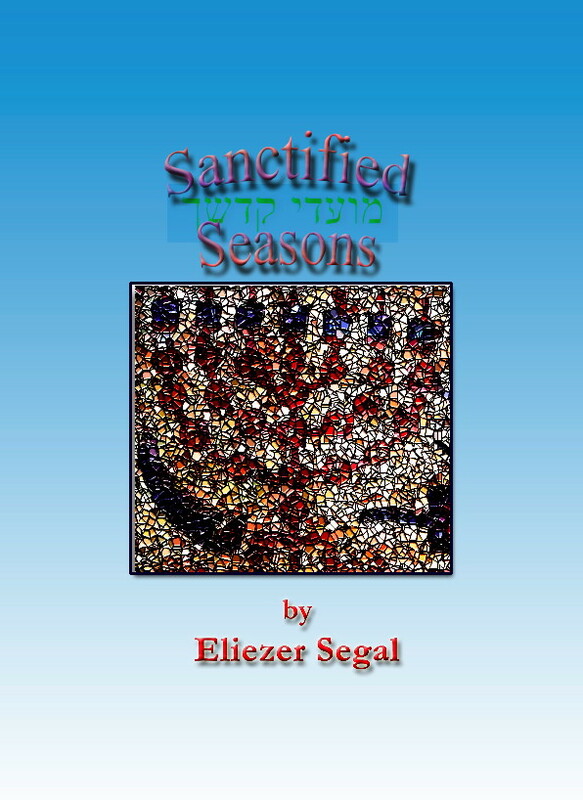 Sanctified Seasons. Calgary: Alberta Judaic Library, 2008 (203 pages). 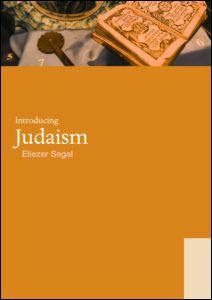 Introducing Judaism, Oxford: Routledge, 2008. Judaism--the eBook, Journal of Buddhist Ethics Online Books, 2008. 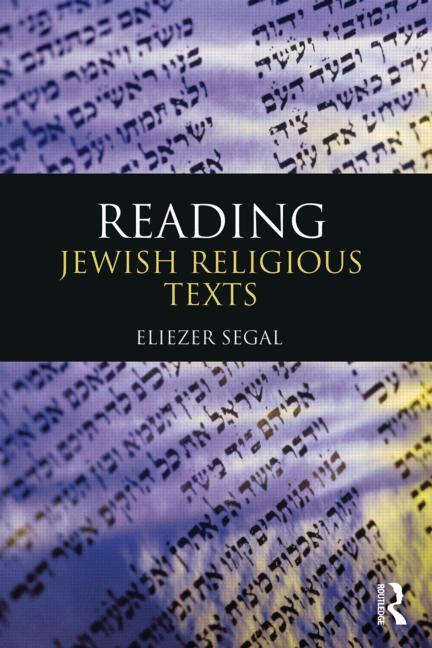 Reading Jewish Religious Texts, Oxford: Routledge, 2011, 240 pages [in press]. 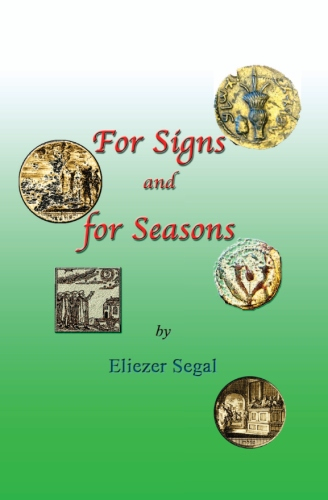 For Signs and for Seasons. Calgary: Alberta Judaic Library, 2011 (167 pages). 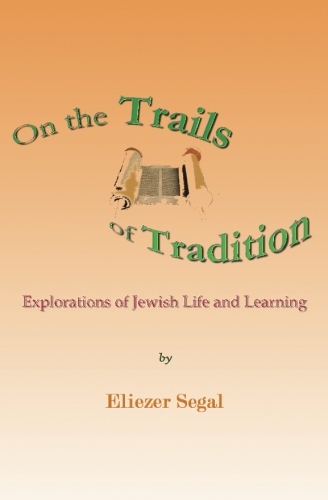 On the Trails of Tradition: Explorations of Jewish Life and Learning. Calgary: Alberta Judaic Library, 2011 (208 pages). 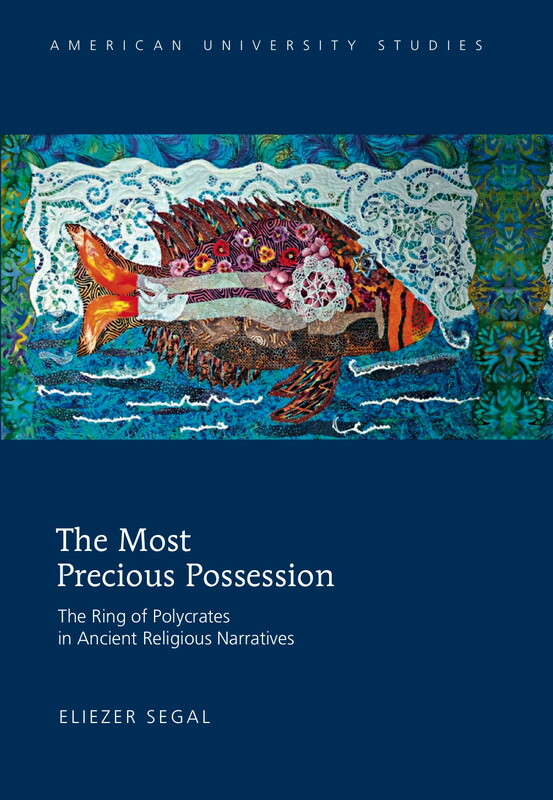 The Most Precious Possession: The Ring of Polycrates in Ancient Religious Narratives. American University Studies. Series VII, Theology and Religion Vol. 343. New York: Peter Lang Publishing, 2014. A Time for Every Purpose. Calgary: Alberta Judaic Library, 2015 (246 pages). Chronicles and Commentaries. Calgary: Alberta Judaic Library, 2015 (248 pages). 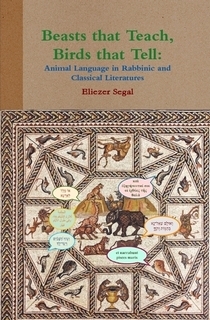 Beasts that Teach, Birds that Tell: Animal Language in Rabbinic and Classical Literatures. Calgary: Alberta Judaic Studies, 2019. 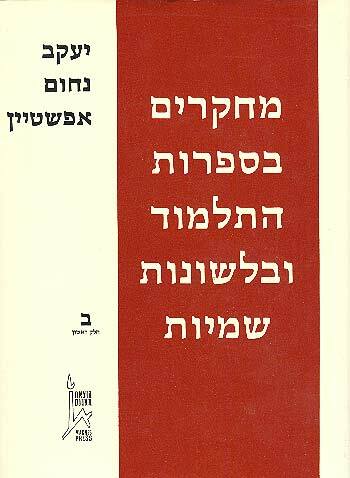 Studies in Talmudic Literature and Semitic Languages II, Jerusalem: The Magnes Press, the Hebrew University, 1988. Jerusalem to Jabneh, Tel Aviv: Everyman's University, 1981. Life After Death in the World Religions (Maryknoll, NY: Orbis, 1997), pp. 11-30. German translation: Das Leben nach dem Tod in den Weltreligionen Freiburg: Herder, 1998 (pp. 21-41). Experiencing Scripture in World Religions, Maryknoll, NY: Orbis, 2000, 15-33. The Spiritual Roots of Restorative Justice. Albany: SUNY Press, 2001, 181-98. 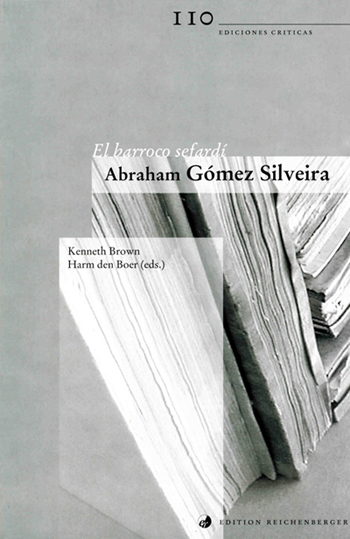 El Barroco Sefardí Abraham Gómez Silveira: Arévalo, Prov. De Avila, Castilla 1656 -- Amsterdam 1741: Estudio Preliminar, Obras Líricas, Vejámenes En Prosa Y Verso Y Documentación Personal, edited by Kenneth Brown and Harm Den Boer, 256-60. Kassel: Edition Reichenberger, 2000. The Twenty-first Century Confronts Its Gods: Studies in the Interaction between Religion and Society, SUNY Press, 141-56. Study and Knowledge in Jewish Thought, The Goldstein-Goren Library of Jewish Thought (Beersheba: Ben-Gurion University Press, 2006), 359-373. 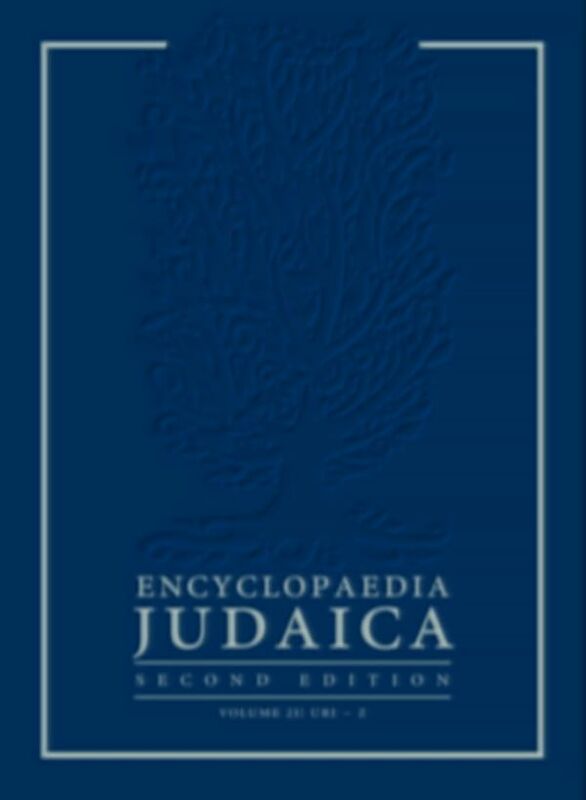 Encyclopedia of the Jewish Diaspora (Santa Barbara: ABC-CLIO, 2008), 1:4-8. 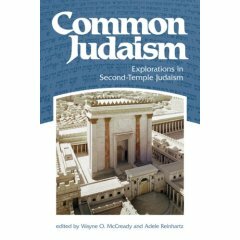 Common Judaism: Explorations in Second-Temple Judaism (Minneapolis: Fortress Press, 2008), 159-172, 286-292. Vixens Disturbing Vineyards: The Embarrassment and Embracement of Scriptures--A Festschrift Honoring Harry Fox Le'Veit Yoreh (Brighton MA, Academic Studies Press, 2009), 241-259. 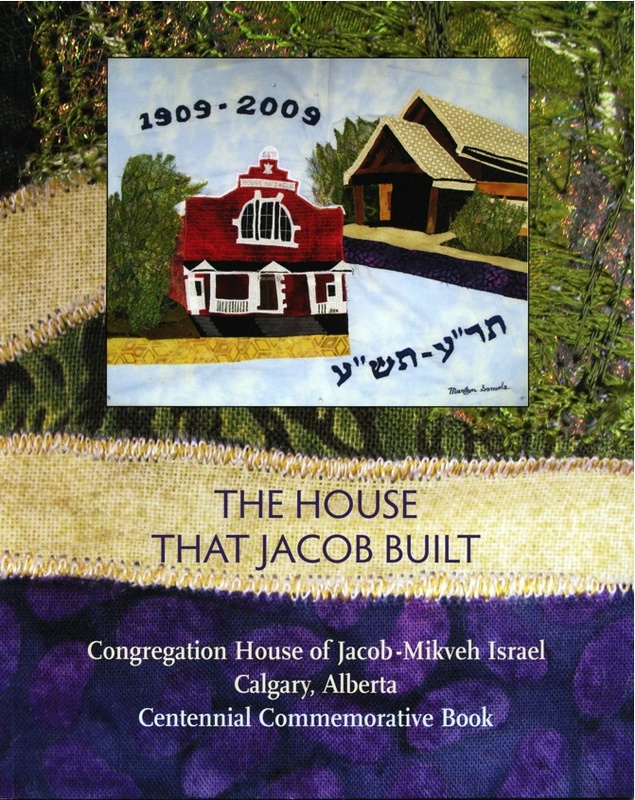 The House that Jacob Built: Congregation House of Jacob-Mikveh Israel, Calgary, Alberta Centennial Commemorative Book (Calgary, 2009), 60-61. "Judaism: Contemporary Expressions" in: Michael D. Palmer and Stanley M. Burgess, eds. 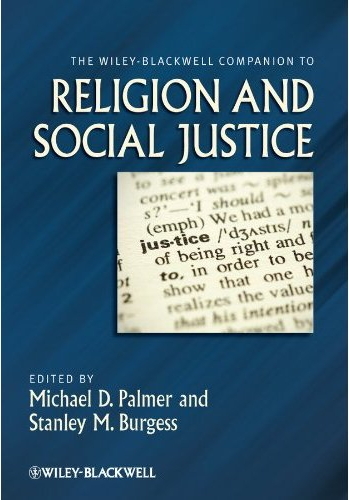 The Wiley-Blackwell Companion to Religion and Social Justice (Oxford: Wiley-Blackwell, 2011), 190-203. 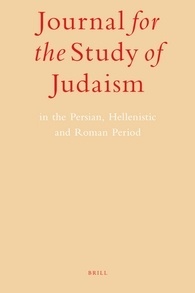 "Esther (Book and Person): Judaism: Rabbinic Judaism"
in: Klauck, Hans-Josef, et al., eds. 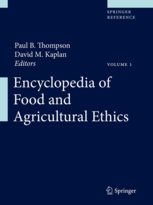 Encyclopedia of the Bible and Its Reception Vol. 8, 19-21. Berlin: Walter de Gruyter, 2014. Encyclopedia of the Bible and Its Reception Vol. 11, 83-84. Berlin: Walter de Gruyter, 2015. 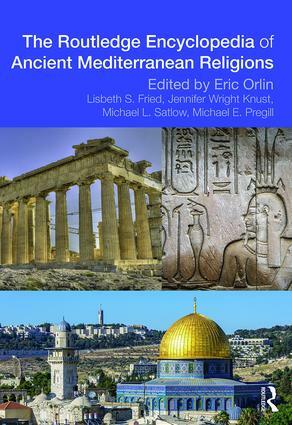 The Routledge Encyclopedia of Ancient Mediterranean Religions, Oxford and New York: Routledge, 2015, 383, 670, 675. "The Terminology of Case-Citation in the Babylonian Talmud,"
Journal for the Study of Judaism, 9 (1979), pp. 205-211. "Variant Traditions of Cases in the Babylonian Talmud,"
Jewish Quarterly Review (N.S. ), 70 (1979), pp.1-27. "The Use of the Formula ki ha de in the Citation of Cases in the Babylonian Talmud,"
Hebrew Union College Annual, 50 (1979), pp. 199-218 [Reprinted in: J. Neusner and W. S.. Green, eds., The Origins of Judaism: Religion, History and Literature in Late Antiquity, Vol. 10 (The Talmuds), New York 1991. ""'The Same from Beginning to End...' -- on the Development of a Midrashic Homily,"
Journal of Jewish Studies, 32 (1981), pp. 158-165. Prooftexts 8 (1988) (pp. 245-256). "Human Anger and Divine Intervention in Esther,"
"Midrash and Literature: Some Medieval Views,"
Prooftexts 11 (1991), pp. 57-65. "Justice, Mercy and a Bird's Nest,"
Journal of Jewish Studies, Fall 1991, 176-95. "Sarah and Iscah: Method and Message in a Midrashic Tradition,"
Jewish Quarterly Review 82:3-4 (1991), 417-30. "The Exegetical Craft of the Zohar: Towards an Appreciation,"
The AJS Review 17:1 (1991), pp. 31-49. "Anthological Dimensions of the Babylonian Talmud,"
Prooftexts 17 (1997) [special issue on The Anthological Imagination in Jewish Literature], pp. 33-61 (invited article). "Associative' Organization in the Talmud: Some Reconsiderations,"
Papers of the Chair in Quebec and Canadian Jewish Studies, Montreal . "'The Few Contained the Many': Rabbinic Perspectives on the Miraculous and the Impossible,"
Journal of Jewish Studies 54 (2003) , pp. 273-882. Journal of Religion 85:1 (2005), pp. 25-42. "A Funny Thing Happened to Me on My Way to Sodom,"
Journal for the Study of Judaism 46:1 (2015), pp. 103-129. "Kenisah/Kenesah -- Morphological-Semantic Distinction in a Mishnaic Hebrew Verbal Noun,"
Leshonenu, 43 (1979), pp. 157-160. "The Goat of the Slaughterhouse...' -- on the Evolution of a Variant Reading in the Babylonian Talmud,"
Tarbiz, 49 (1980), pp. 43-51. "Marginal Glosses in the Bodlean Copy of TB Megillah Pesaro Edition,"
Alei Sefer, 9 (1981), pp. 130-139. "The Textual Tradition of the Columbia University Manuscript of TB Megillah,"
Tarbiz, 53 (1984), pp. 31-59. Tarbiz, 53 (1985), pp. 19-46. 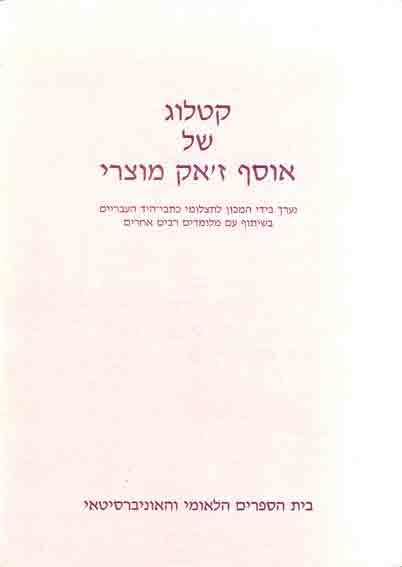 "Variant readings of TB Megillah", E. S. Rosenthal Memorial Lecture, Hebrew University, Jerusalem, Feb. 1985. "The TB Megillah Esther Midrash and the Study of Babylonian Aggadah", Annual Conference of the Association for Jewish Studies, Boston, Mass., December 1987. "Derash in Spite of Peshat: Some Medieval Justifications for Creative Exegesis," Annual Conference of the Association for Jewish Studies, Boston, Mass., December 1989. "Peace or Victory? -- The Meaning of Purim in the Bible and Talmud," Canadian Society for Biblical Studies Conference on "Reading the Bible," University of Calgary, January 19, 1990. "Justice, Mercy and a Bird's Nest," Department of Religious Studies, University of Alberta, March 5, 1990. "The Zohar as Exegesis," guest lecture, University of Alberta, March 5 1990. "The Law of Retaliation," Annual Meeting of the Association for Research into Religious Studies and Theology, University of Alberta, Edmonton, May 2, 1991. "Jewish Law from Jesus to the Mishnah," one-day seminar, Department of Religious Studies, University of Calgary, June 25 1991. "From India to Ethiopia--From Hermeneutics to Homiletics" Lecture for the Calgary Institute for the Humanities, University of Calgary, Oct. 17 1991. "Aims and Means in the Preparation of Critical Editions of Tractates from the Babylonian Talmud," Paper delivered at the Eleventh World Congress of Jewish Studies, Hebrew University of Jerusalem, June 1993 [Hebrew]. Respondent: Paul van Buren, "Torah, Israel, Jesus, Church--Today," Canadian Council of Christians and Jews (Alberta Region) Christian-Jewish Dialogue, Calgary, Nov. 21 1993. "The Thirteenth of Adar: Gemara, Sevara and the Meaning of Purim," Guest Lecture at the Jewish Theological Seminary of America, New York, NY, Feb. 14, 1994. Chairperson, "Trajectories of Biblical Tradition/Trajectoires Bibliques" session, Canadian Society for Biblical Studies Annual Meeting, Calgary, June 7 1994. "The Distinctiveness of Babylonian Aggadah: Reflections on the Esther-Midrash" Paper delivered at the Canadian Society for Biblical Studies Annual Meeting, Calgary, June 7 1994. 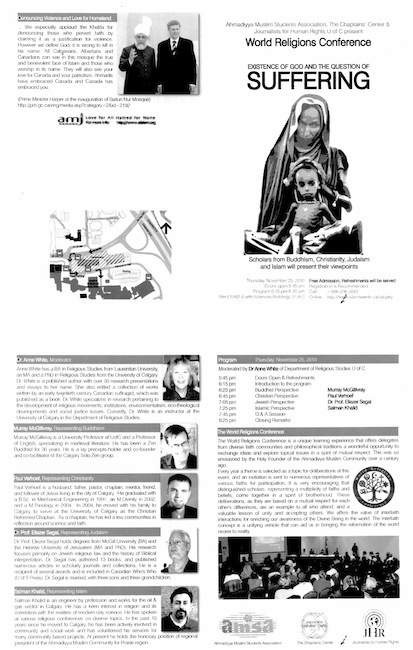 "Atonement and Ingathering: The Jewish Fall Festivals" Exhibition and Introductory Lecture, Dept. of Religious Studies "Festivals and Holy Days" series, Calgary, Oct. 11 1994. "Electronic Resources for Learning and Future Curriculum Innovation"--Showcase and Demonstration for University of Calgary "Envisioning Transformation" Week: February 14 1996. "'Associative' Organization in the Talmud: Some Reconsiderations" Invited paper delivered at the conference "A Heritage in Transition: Jewish Studies in Canada" sponsored by the Chair in Canadian Jewish Studies of Concordia University and the Centre for Jewish Studies at York University, Montreal, June 10 1996 [See above]. "Issues in Rabbinic Philology" Presentation for University of Calgary Philology Research Group, January 8 1998. "Sacred Word and Sacred Text" Lecture for University of Victoria Centre for Studies in Religion and Society, February 21 1999. "Variants, Traditions and the Meaning of Prophecy" Presentation for: "Theories of the Text" an interdisciplinary workshop and panel discussion, University of Calgary Philology Research Group, March 18 1999. Faculty of Humanities Development Committee, presentation for Workshop on Web-based courses, April 19 1999. "Towards a Definition of 'the Era of the Sages'" Presentation at the Second Annual Conference on Research in Rabbinic Thought, Beit Morasha of Jerusalem Center for Advanced Jewish Studies, Jerusalem Israel, December 5 1999. "Seventy Faces to the LXX: The Rabbinic Tradition on the Greek Translation of the Pentateuch Revisited" Jonas Greenfield Scholars Seminar, Orion Center for the Study of the Dead Sea Scrolls and Associated Literature, The Hebrew University of Jerusalem, April 3 2000. "'Little Contained Much': On the Sages' Attitude towards Philosophical Discourse." Paper presented at International Conference on Jewish Thought and Foreign Cultures: "Judaism and the World-- Interaction, Influence and Impact," Ben-Gurion University of the Negev, Beersheva, Israel, May 30 2000. "From Miedzyboz to Paris: Chabad and the Writing of Hassidic History." Lecture for the University of Calgary Jewish Studies Group, March 14 2001. "Presenting and Teaching the Talmud on the Internet" presentation for: "Talmud Bavli--History of Transmission as History of Intertextuality," Workshop organized by the Kulturwissenschaftliche Forschungskolleg "Medien und kulturelle Kommunikation" of the University of Cologne, Germany, June 27-28 2001. "The Temple as a Source of Unity and Conflict (So What Else is New? )," presentation for: "History, Issues, and Ideas--Lost Worlds: Jewish Life, Roman World," workshop organized by the University of Victoria Department of Greek and Roman Studies and Division of Continuing Studies, and the Victoria Jewish Community Centre; University of Victoria, Victoria BC, November 25, 2001. "The Archaeology of Religious Customs: Ashenazic religious practice and the geographical origins of European Jewry," address for the Jewish Genealogical Society of Southern Alberta, Calgary, January 21 2002. "From there to here, from here to there / Seuss-ifying Hebrew prayer." Faculty Colloquium "Across Cultural Boundaries" Faculty of Humanities, University of Calgary, January 23, 2001. "Alternative E-Publishing: Reality and Practice," presentation for workshop on "New Models in Academic Publishing: Dispelling the Myth" sponsored by University of Calgary Information Resources, November 12 2002. "That LXX Show: The Alleged Rejection of the Septuagint at Yavneh" (faculty seminar), January 30, 2003. "Digital Pilgrimages: Jewish Identities on the Internet," January 31, 2003. "Disarming Pinhas: The Rabbis Deal with a Biblical Extremist" (Public Lecture at the Vancouver Jewish Community Centre: "UBC at JCC series"), February 1 2003. "A Penny in the Pushkah: The Ritualization of Ethics in Jewish Custom," paper for the University of Calgary Jewish Studies Group, January 27 2004. "Digital Discipleship: Using the Internet for the Teaching of Jewish Thought" presentation for: International Conference on "Study and knowledge in Jewish Thought," Goldstein-Goren International Center for Jewish Thought, Ben-Gurion University of the Negev, Beer-Sheva, Israel, June 9, 2004. Respondent: Craig A. Evans, "Messianic Hopes & Messianic figures in Late Antiquity," sponsored by the Chair of Christian Thought, University of Calgary, November 2, 2004. "From Exegesis to Homiletics: Investigating the Aggadic Midrash in the Babylonian Talmud," Hebrew University of Jerusalem: Department of Talmud seminar series on "Research Topics in Talmudic and Rabbinic Literature," March 8, 2005. "Talmudic Trajectories: Academic encounters with the Oral and Written Torahs," seminar for the Ecole Biblique, Jerusalem, March 16, 2005. "'Refined Sevenfold'-Towards a Characterization of Aggadic Midrash in the Bavli," Bar-Ilan University, Ramat-Gan, Israel, Department of Talmud Faculty Seminar, March 21, 2005. "Aristeas or Aggadah: Talmudic Legend and the Greek Bible in Palestinian Judaism," Conference on "Common Judaism Explored: Second Temple Judaism in Context," Calgary Institute for the Humanities, Calgary, May 17, 2005. "Monotheism and Misanthropy: Historical Responses to Liberal Anti-Judaism" lecture for Jewish Studies Research Group, University of Calgary, November 30, 2005. "Under the Sign of Pisces: Tracing the Route of the 'Ring of Polycrates' from Herodotus to the Rabbis (and then some)" [Hebrew], Departmental Coloquium, Goldstein-Goren Department of Jewish Thought, Ben-Gurion University of the Negev, Beersheba, Israel, November 24, 2008. "Methodological Issues in the Definition of the Rabbinic Era" [Hebrew], presentation for "On Religions of Place and Religions of Community" seminar, Scholion- Interdisciplinary Research Center in Jewish Studies, Hebrew University of Jerusalem, December 3, 2008. Chair and Commentator, Session 6: "Local and Global," Conference on "'I'm in the East and My Heart is in the West': Israel in the Middle East," University of Calgary Israel Studies Program, Calgary, October 5 2010. Chair and Commentator, Session 4: "Religion and Citizenship," Conference on "Israel between Orient and Occident," University of Calgary Israel Studies Program, Calgary, March 5 2012. Chair and Commentator, Session 5: "Theology, Demonology & Mysticism," Conference on "Ka-Tzetnik: The Impact of the First Holocaust Novelist in Israel and Beyond," University of Calgary Israel Studies Program, Calgary, March 12 2013. "Lord—and Lady—of the Flies" presented at the Regional Meeting of the Pacific Northwest Region of the AAR, SBL & ASOR, Calgary, AB, May 10, 2014. Tarbiz, 51 (1982), pp. 315-318 [Hebrew]. Religious Studies and Theology 6:3 (1986), 66-67. Religious Studies and Theology, 6:3 (1986), 68-70. Religious Studies and Theology, vol.7, Nos. 2 & 3, May, September 1987, pp.88-90. 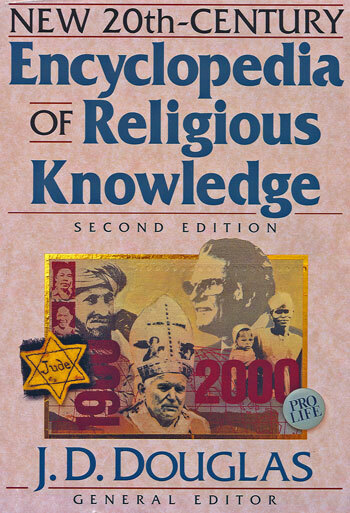 Religious Studies and Theology 8 (1988), 85-8. Religious Studies and Theology 8 (1988), 57-8. Religious Studies and Theology (1988), 53-4. Religious Studies and Theology (1992), 45-6. Religious Studies and Theology 13-14(1995), 110-11. Studies in Religion / Sciences Réligieuses 24:3 (1994), 371-2. 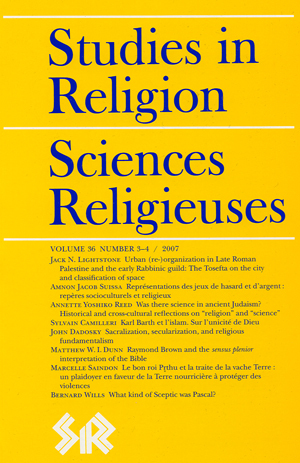 Studies in Religion / Sciences Réligieuses (1995) . 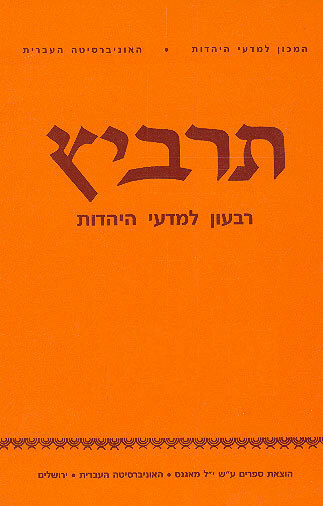 Hebrew Studies 40 (1999), 365-7. Studies in Religion / Sciences Réligieuses 29 (2000), 246-7. Journal of the American Oriental Society, 121:3 (2001), 502-3. Journal of the American Academy of Religion, 69:4 (2002), 953-6. 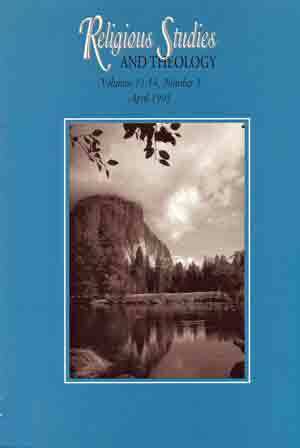 The Journal of Religion, 83:1 (January 2003), 162-4. Jewish Quarterly Review 93:3-4 (2003), 675-7. Studies in Religion / Sciences Réligieuses, 32, 1-2 (2003), 212-4. Studies in Religion / Sciences Réligieuses, 32:4 (2003), 520-2. Journal of the American Oriental Society, 123.1 (2004), 662-4. Journal of the American Academy of Religion 73:3 (2005), 911-913. 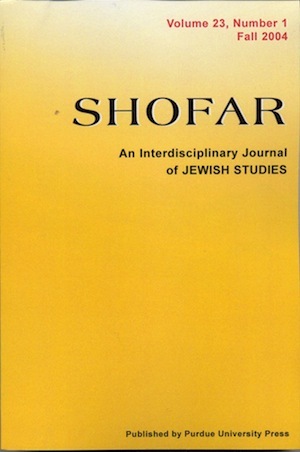 Shofar: An Interdisciplinary Journal of Jewish Studies 29:3 (Spring 2011), 158-160. S. Werses, "Towards the History of the Hebrew Novella in the Early Nineteenth Century: Studies in Zahlen's Salmah mul 'Eden,"
Scripta Hierosolymitana 27: Studies in Hebrew Narrative Art throughout the Ages (Jerusalem: Magnes 1978), 107-24. Uncle Eli's Passover Haggadah, San Francisco: No Starch Press (1999). 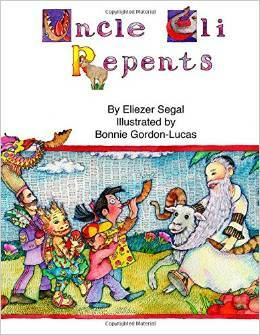 Uncle Eli Repents, Calgary and Bloomington: CreateSpace (2014). Click here for a complete listing by topics. "Im Takt der Seele hin und her: Warum Juden beim Beten den Körper schaulkeln,"
Jüdische Algemeine Wochenzeitung 52:22 (Bonn, October 30 1997), p. 16 [German translation of "The Meaning of Shokeling"]. "Der Davidsstern" (http://www.dike.de/Lomdim/md2000/07md0400.html) [German translation of "Seeing Stars"]. "Comentários sobre Lilith na cultura judaica" (http://www.alceujun.hpg.com.br/lilith4.html) [Portuguese translation of "Looking for Lilith"]. "Where to Draw the Line"
Ha-Atid: Magazine of the Melbourne Hebrew Congregation, Melbourne Australia: Fall 1999, pp. 67-8. Ha-Atid: Magazine of the Melbourne Hebrew Congregation, Melbourne Australia: Spring 2000, 4:2:14: Spring 2000, p 59. Ha-Atid: Magazine of the Melbourne Hebrew Congregation, Melbourne Australia: Spring 2000, 4:2:14: Spring 2000, pp 14-15. Ha-Atid: Magazine of the Melbourne Hebrew Congregation, Melbourne Australia , 4:3 Summer 2000. Ha-Atid: Magazine of the Melbourne Hebrew Congregation, Melbourne Australia , 4:3:11-2 Summer 2000. "When Mount Sinai Was Lifted Up," The Jewish Star, Chicago, May 25-June 7 2001, Magazine, p. 9. Ha-Atid: Magazine of the Melbourne Hebrew Congregation, Melbourne Australia , 5:3:19:11-12 Summer 2002. 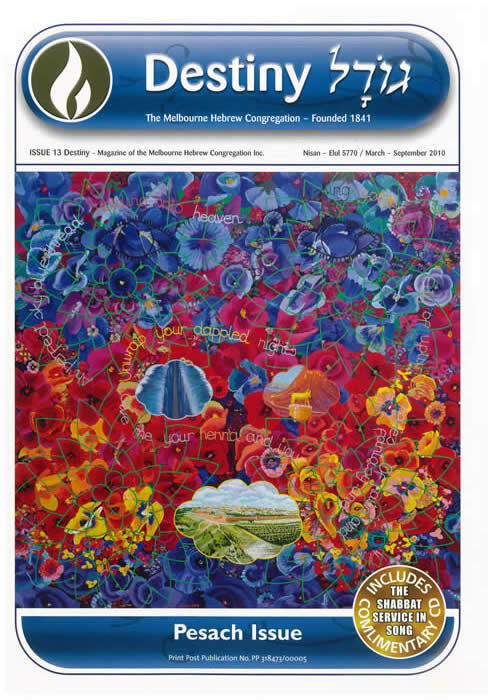 Ha-Atid: Magazine of the Melbourne Hebrew Congregation, Melbourne Australia , 5:4:20:22-3, September 2002-April 2003. "BC-BCE Shuffle a Distinction of Note,"
Calgary Herald December 28, 2002, p. OS10. "Children's Questions at Heart of Passover,"
Calgary Herald, April 19, 2003, p. OS12. "Ангелы на Моих Плечах" Kehilas Moreshes Yaakkov web site , [Russian translation of "Angels on My Shoulder"]. Destiny: Quarterly Magazine of the Melbourne Hebrew Congregation, Melbourne, Australia, Issue 5 (Adar - Tammuz 5766 / March - June 2006), p. 21. "Du sollst nicht morden..." [German translation of: "Thou Shalt Not Murder,"
"Moment mal!" [German translation of "Service Interruption,"
Erhellende Erkenntnis [German translation of "The Price of Oil,"
Destiny: Magazine of the Melbourne Hebrew Congregation, Melbourne, Australia, Issue 13 (Nisan-Elul 5770 / March-September 2010), p. 21. 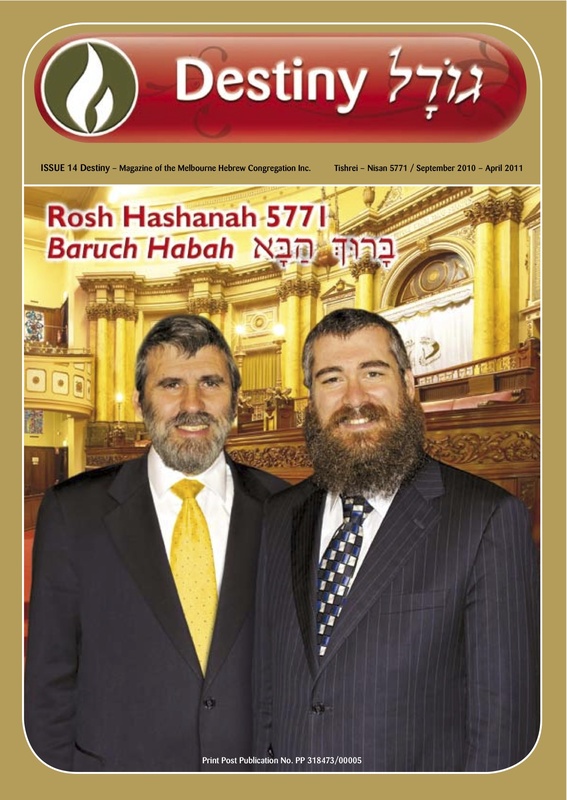 Destiny: Magazine of the Melbourne Hebrew Congregation, Melbourne, Australia, Issue 14 (Tishrei - Nisan 5771 / September 2010 - April 2011), p. 8. Destiny: Magazine of the Melbourne Hebrew Congregation, Melbourne, Australia, Issue 16 (Elul 5771 � Nisan 5772 / September 2011 � April 20121), p. 15. Destiny: Magazine of the Melbourne Hebrew Congregation, Melbourne, Australia, Issue 18 (Nisan 5773-Elul 5774 / April 2013-September 2013), pp. 34-35). Destiny: Magazine of the Melbourne Hebrew Congregation, Melbourne, Australia, Issue 18 (Nisan 5773-Elul 5774 / April 2013-September 2013), p. 6). "Law and Exegesis in First-Century Judaism, Patten College, Oakland, California (Judaic Seminar). "Euthanasia", University of Calgary seminar on Euthanasia, Calgary Public Library. "Halakha, Holidays and History", B'nai-Brith Hillel Students Society, University of Calgary. "Mutability of Principles", Academic Interfaith Dialogue Group, University of Calgary. "Jews and Proselytization" for Citizens against Racial & Religious Discrimination, Calgary. "Jewish Bio-Medical Ethics" for National Council of Synagogue Youth Regional Conference, Calgary. "God in the Old Testament," for University of Calgary Catholic Community, St. Pius Church, "The Holy Scriptures" series. "Israel through the Eyes of a New Canadian Immigrant," Calgary Jewish Centre Adult Education Department and Israel Program Centre. Participant in panel, "The Political Landscape of Israel," Calgary Jewish Centre. "The Greening of Esther: Reading the Midrash," House of Jacob Adult Education Series. "Justice, Mercy and Some Broken Jugs I-II," Academic Interfaith Dialogue Group, University of Calgary. "Major Religious Holidays Coincide" (interview), The University of Calgary Gazette, March 28, 1988, p.5. Discussant in "Conflict and Peace in the Middle East" series sponsored by the Peace and Conflict Resolution Group and the Faculty of Continuing Education, University of Calgary. Presentation on Feb. 21/89: "Origins of Jewish Nationalism." Guest lecture: "On Completing the Babylonian Talmud," Akiva Academy, Calgary, March 15 1989. Guest lecture: "Jewish Mysticism," Confederation Park Senior Citizens Centre," Calgary, May 3/89. Adult Education Class, "Asking the Real Questions: Encounters with Jewish Philosophers." Calgary Jewish Centre, Oct. 11,18, 1989. Panelist: Alberta Council of Christians and Jews, "Christian Jewish Dialogue," Oct. 22 1989. "Hyperbole and Exaggeration in the Bible," lecture to the Giloh Central Synagogue Women's Study Group, Jerusalem Israel, August 11 1990. 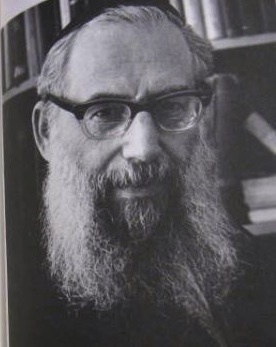 "Subduing the Earth: Genesis, the Environment and the Jewish Exegetical Tradition," lecture for the University of Calgary Chaplaincy, Oct. 21 1990. "Ecology and the Environment: Halacha and Reality" (panelist), House of Jacob-Mikveh Israel Adult Education Programme, Calgary, Oct. 27 1990. "Burned, Banned and Best Seller: The Talmud," lecture to House of Jacob-Mikveh Israel Sisterhood, Calgary, Nov. 27 1990. "Introduction to Judaism," talk to the Islamic Educational Society of Alberta, Calgary, January 15 1992. "Judaism and the Synagogue," address to the Westside Seniors Group in series "Looking Beyond: A Course About Multiculturalism," Calgary, January 27, 1992. Weekly lecture series: "Introduction to Aggadic Midrash," Akiva Academy Senior High School Programme, Calgary, April-May, 1992. 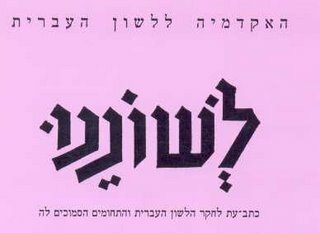 Piyyut--Hebrew Liturgical Poetry (October 3, 1992). Joseph and Osiris (December 26, 1992). Purim and the Book of Esther among the Marranos (March 11, 1993). "No Leaven, nor Any Honey" Jewish Exegesis of Leviticus 2:11 (March 27, 1993). Restrictions on the Recitation of the Priestly Benediction (May 29, 1993). The Historical and Ideological Background of the Rabbinic Versions of the Balaam Story (July 3, 1993). Instructor: University of Calgary Jewish Faculty Study Group. "Judaic Cyber-Surfing on the Internet," workshop for junior high school students at the Calgary Jewish Academy (Akiva stream), University of Calgary, May 2 1994 (with L. Katz and D. Newman). "The Jewish background to Potok's The Chosen," talk for Heritage Christian School, House of Jacob-Mikveh Israel synagogue, Calgary, November 14 1994. Talks on Judaism for Ethics classes at Fairview Junior High School, Calgary, January 12 1995. "Judaic Cyber-Surfing on the Information Highway," presentation for House of Jacob-Mikveh Israel Adult Education Programme (with L. Katz), January 28 1995. "The Time for the Evening Shema'" class at Congregation House of Jacob - Mikveh Israel, Calgary, June 5 1995. Radio panel on "Hell," for CBC Radio, Calgary (Judy Hamill). Talk on "The Jewish Faith" for Lakeview United Church, "The Faiths of Our Neighbours" Lenten Lecture Series, Calgary, February 25 1996. Introduction to the Synagogue, "Tour of Faiths" programme, Multi-Faith Development Education Project of the Calgary Inter-Faith Community Action Association, April 23 1996. Class on "Within the Law and Beyond the Law," Congregation House of Jacob-Mikveh Israel, Calgary, May 24 1996. Contributor to C. Chavich, "Sweet Celebration" Rosh Hashanah and Yom Kippur "Food and Wine" supplement, The Calgary Herald, September 15 1996, p. D10. "Home Page Drive" Interview on "Morningside" radio broadcast, CBC Toronto, January 9 1997. "When Thy Child Asketh Thee..." Guest sermon, Inter-Mennonite Church, Calgary, January 19 1997. "Judaism," Talk to St. Boniface Church Cub Scouts, Calgary, February 10 1997. "The Covenant of Sarah and Abraham," Guest sermon, St. Lawrence Anglican Church, Calgary, February 23 1997. "Brazen Serpents" Guest sermon, St. Cyprian's Anglican Church, Calgary, March 9 1997. Contributor to G. Legge, "Good versus Evil: The Eternal Struggle," Calgary Herald March 28 1997, p. A10. "False Vows and Vain Vows" Class at House of Jacob-Mikveh Israel, Calgary, June 11, 1997. "Covenanting," talk for the 11th Annual Summer Ecumenical Institute on "Covenants and Covenanting Churches," sponsored by the Saskatoon Centre for Ecumenism and the churches of Calgary, FCJ Christian Life Centre, Calgary, June 23 1997. Interviewed (and misquoted) for: C. Champion, "Science on Shaky Foundations," Alberta Report, 24:30 July 7, 1997, p. 34. "Sects and Movements in Judaism," talk to "Lunch and Learn" class sponsored by Chabad-Lubavitch of Alberta, Calgary, November 12 1977. "Joseph, Don't Go!" Lay sermon at Congregation House of Jacob-Mikveh Israel, Calgary, December 20 1997. 1998 Weekly class: "How to Read and Understand Aggadic Midrash" Congregation House of Jacob-Mikveh Israel Torah Learning Centre, Calgary (Winter term). Participant, symposium on "Preparing for the Millennium: What does your faith tradition say about the future?" The Knox Centre, Calgary, February 12 1998. "Roots and Branches" Guest sermon at the Church of the Good Shepherd, Calgary, February 15 1998. "Bearing Faithful Witness: United Church Relations Today" Talk for Calgary Hadassah-Wizo Organization, February 18 1998. "Sunshiny Faces" Guest sermon at St. Peter's Church (Anglican), Calgary, February 22 1998. "Introduction to the Synagogue" Presentation to students of the Menno Simons Christian School, Calgary, March 24 1998. "Passover" Interview on "Daybreak Alberta" radio broadcast, CBC Calgary-Edmonton, April 11 1998. Weekly class: "The Philosophy of Moses Maimonides" Congregation House of Jacob-Mikveh Israel Torah Learning Centre, Calgary (Spring term). "The Historical Background to Jewish-Christian Relations" Weekly class offered to Hadassah Women's Organization, Calgary Jewish Centre, September-October 1998. "From Atonement to Ingathering" Talk to Gnosis, the Religious Studies Student Club, University of Calgary, Sept. 18 1998. "Making Sense of the Mitzvot" Weekly class for the Torah Learning Centre, Congregation House of Jacob-Mikveh Israel, Calgary, October-December 1998. "Scandals in High Places." Talk for Calgary Jewish Centre Seniors Group "Hot Topics" series. Calgary, November 2 1998. Lectures on Judaism Knox Presbyterian Church, Calgary, November 15, 22, 1998. "Uncle Eli's Haggadah" Presentation for Jewish Literature and Culture Week, Calgary Jewish Centre, Calgary, November 22 1998. 1999	 "The History of Jewish Messianism" Weekly class for the Torah Learning Centre, Congregation House of Jacob-Mikveh Israel, Calgary, Winter- 1998-1999. "The Royal Table" Sermon delivered at Congregation Emanu-El, Victoria BC, February 21 1999. "Holy Cow! In Search of the Meaning of the Red Heifer" presentation for "An Evening to Remember" a study session sponsored by the Calgary Jewish Centre and the Calgary Rabbinical Council, Calgary, March 6 1999. "The Kabbalah" presentation for Sisterhoods of Beth Tzedec and House of Jacob-Mikveh Israel congregations, May 12 1999. 2001 "Jewish Mysticism and Kabbalah" Weekly class for the Torah Learning Centre, Congregation House of Jacob-Mikveh Israel, Calgary, March-September 2001. Commentator, "Great Jewish Thinkers, Great Wisdom," Kallah programme, Calgary Jewish Centre, March 20 2001. Speaker, "Presentation & Dialogue: Judaism & Islam" Islamic Education Society of Southern Alberta and Congregation House of Jacob - Mikveh Israel, Calgary, March 18, 2001. Inverviewed by J. Woodward, "What's on the Seder Table," The Calgary Herald, April 7, 2001, OS10. Speaker, "Jerusalem, Its Importance to Three Religions," Canadian Council of Christians and Jews, St. Peter's Anglican Church, Calgary, April 29, 2001. 2001-2002 "The Zohar: Book of Enlightenment" Weekly class for the Torah Learning Centre, Congregation House of Jacob-Mikveh Israel, Calgary, October 2001-. 2002 "Asking God's Name," Sermon delivered at Congregation House of Jacob - Mikveh Israel, January 12 2002. "Judaism and Its Practice," presentations for Lenten Series at McDougall United Church, Calgary, February 20 and 27, 2002. "Blood Transfusions," interview on A-Channel television News@Six, Calgary, March 6 2002. Speaker, "The Development of Christian-Jewish Relations," Lenten Study Programme for St. Matthew's and Scarboro United Churches, Calgary, March 10 2002. 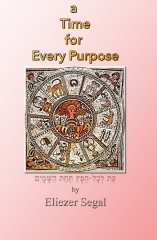 "Elijah's Message," Sermon delivered at Congregation House of Jacob - Mikveh Israel, March 22 2002. "Judaism in Israel," talk for the International Affairs Group, Calgary, March 25, 2002. "A Flame from Heaven" Sermon delivered at Congregation House of Jacob - Mikveh Israel, Calgary, April 6 2002. "Holy Days and Week Days," Sermon delivered at Congregation House of Jacob - Mikveh Israel, April 27 2002. "How to Write a D'var Torah," guest classes for the Akiva Academy, Calgary, May 1, 2002. "The Name of God is Truth" presentation for the Islamic Education Society of Alberta, Calgary, May 2, 2002. "Kabbalah, Mysticism and Reincarnation," talk for Women's League for Conservative Judaism Pacific-Northwest Region Annual Conference, Calgary, May 6, 2002. Participant, "Power and Protest" community seminar, Calgary Institute for the Humanities, June 4, 2002. Interviewed by J. Woodward, "They Embrace Their Jewish Heritage, But Are They Jews?" The Calgary Herald, October 12, 2002, OS9. Panelist, Faithlink conference on Family Violence, McDougall Centre, Calgary, November 12, 2002. 2003 Panelist: "Abraham and David," Spiritual Perspectives Week, University of Calgary Students Union, January 27, 2003. "Manuscript Fragments of a Fragmented Judaism: Jewish Diversity in the Dead Sea Scrolls and the Cairo Genizah," talk for the Calgary Circle of Humanistic Jews, March 30, 2003. "Religion and Science," presentation for Colloquium on Religion and Science sponsored by the Ahmadiyya Muslim Jama'at, Calgary, April 9, 2003. Interviewed for: Erica Marcus, "The Platter Laid Out," Newsday, Long Island NY, April 16, 2003. Interviewed for: Jennifer Garza, "Seder Layered with History and Emotion," Sacramento Bee, Sacramento CA, April 16, 2003. "Predestination versus Free Will," presentation for Colloquium "Perspectives on the Human Condition: Suffering, Destiny, Justice" sponsored by the Ahmadiyya Muslim Community, University of Calgary, October 15, 2003. Panelist: "Trembling before G-d," The 3rd Annual Jewish Film Festival, Beth Tzedec Congregation, Calgary, November 23, 2003. Interviewed for: Leslie Beaton Hedley, "Light a Candle for Freedom," Calgary Herald, Calgary, December 13, 2003, OS9. 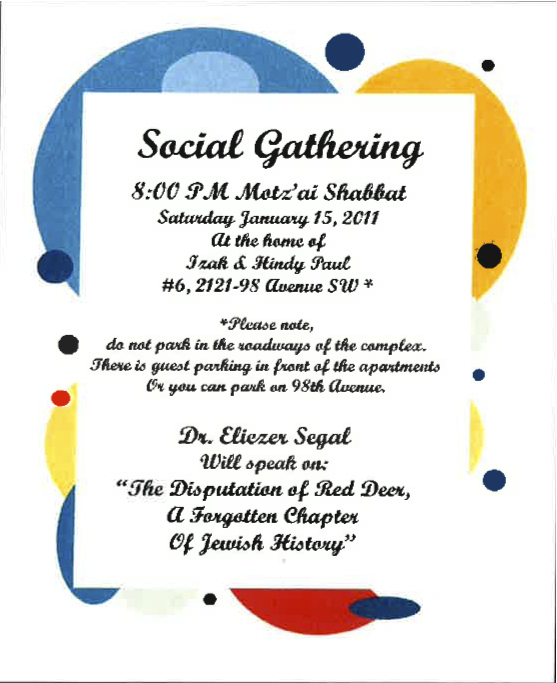 2004 "Kabbalah and Jewish Mysticism," presentation to the Calgary Circle of Humanistic Jews, January 25, 2004. Interviewed for: Mark Reid, "Uncle Eli Makes History on Jeopardy," OnCampus, Calgary, January 30, 2004, p.4. Interviewed for: Joe Woodard, "The Spanking Debate," The Calgary Herald, January 31, 2004, p. A4. Interviewed for: Barbi Green, "Red strings & mystical things," 24 Hours, Toronto, February 20, 2004, p. 22. Interviewed for: "Calgary Today": "Jeopardy Guy: Calgary professor gets international recognition," Shaw TV Calgary (Channel 10) February 20, 2004. "The Structure of the Passover Haggadah," presentation for the EJI chapter of Calgary Hadassah, March 30, 2004. Interviewed for: Joe Woodard, "Passover: history, freedom -- and chicken soup," The Calgary Herald, April 4, 2004, p. BO7. Interviewed for: Joe Woodard, "'God not only gave you a text, He gave you a brain'," The Calgary Herald, May 16, 2004, p. BO9. Interviewed for: Michael Kress, "The Kabbalah craze: Stars embrace mystic beliefs, and many rabbinical scholars cringe," Dallas Morning News, July 24, 2004, pp. G1, G3. Interviewed for: Tara Weiss, "Red String's The Thing: A Bracelet as Fashion Statement," The Hartford Courant, August 10, 2004; ; also published as "New Fad Has Strings Attached," The Atlanta Journal-Constitution; and Hoosier Times, Indiana (August 15, 2004, p. G7); "Accessory fad arriving with strings attached," Fort Wayne Journal Gazette, August 10, 2004. Interviewed for: Lisa Wilton, "Esther Life after Kabbalah?" The Calgary Sun, September 5, 2004, "Showtime" supplement, pp. 6-7; also published as "The A-list Kabbalists: Stars seeking spirituality resurrect an ancient faith," The Winnipeg Sun, September 12, 2004. Interviewed for: Darren Garnick, "Speculation on Seuss" The Telegraph, Nashua NH, September 9, 2004, "Encore" supplement. Interviewed for: Randy Myers, "Company, not gifts, key to Hanukkah" Contra Costa Times [California], December 7, 2004. 2005 Interviewed for: Amy Steele "Calgary Muslims promote understanding" Ffwd, Calgary, 10:33, July 21-27, 2005, 4. Panelist: "The Ethics of Panhandling" Talk of the Nation, National Public Radio, August 17, 2005. Workshop on Judaism for Calgary Board of Education, School Support Services: "An Introduction to World Religions," University of Calgary, October 30, 2005. Interviewed for: Joe Woodward "God wanted Job to argue with him: Bible scholar" Calgary Herald, November 6, 2005, B5. Interviewed for: Michael Kress, "Madonna's Magical, Mystical Song, Idol Chatter, Belief.net web resource, November 14, 2005. Interviewed for: Joe Woodward "Christmas on Dec. 25 linked to Scripture" Calgary Herald, December 18, 2005, B05. 2006 Interviewed for: Joe Woodard, "What would Jesus eat?" Calgary Herald, April 13, 2006, F10. "Religious Law in the Secular State: A Case Study," presentation for World Religions Conference on "Reconciling Faith with Loyalty to the Homeland," sponsored by the Ahmadiyya Muslim Jama'at, Calgary, September 19, 2006. 2007 Interviewed for: Denise Flaim, "For pets' sake"
Newsday (Long Island, New York), Jan. 2, 2007. Presenter: "One Night with the King," Gnosis student club, University of Calgary, March 7, 2007. "Passover," class for Alberta Bible College, Calgary, March 7, 2007. "'A Sprinkling of Bones'--Ossilegium and Ossuaries in the Tractate Semahot (Evel Rabbati)"; text class for the Fifth Annual North American Chevra Kadisha conference, Edmonton, June 11, 2007. "Jewish Perspective." The Annual Interfaith Colloquium: Faith Perspectives on Living Simply & Its Impact on Our Environment. Foothills Mennonite Church, Calgary, 2007. 2007- "Passover," class for Alberta Bible College, Calgary, March 7, 2007. 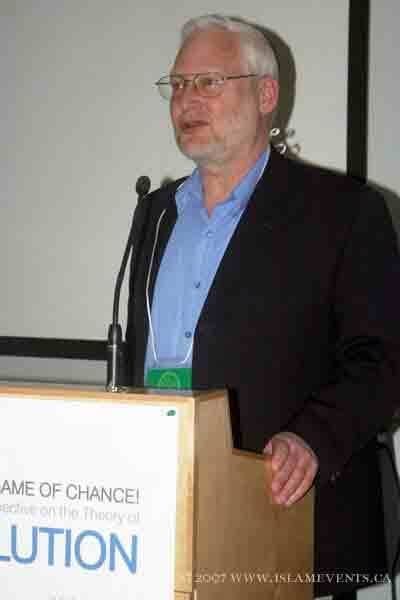 2008 Panelist, "A Game of Chess or a Game of Chance: Religion's Perspective on the Theory of Evolution." Interfaith symposium sponsored by Central United Church, Calgary, in Association with the Ahmadiyya Muslim Community Calgary South. Central United Church, Calgary, Feb. 19, 2008. Radio Shalom USA, Baltimore, on "Machine-made matzah and the history of Passover," April 13, 2008. Interviewed for: Erik Froese, "Bearded daddy-to-be"
Calgary Herald Swerve Magazine (Calgary), July. 25, 2008, pp. 26-31. "'When You Reach Thirty-Three You Shall Know...'--Reflections on Mythic Thinking in the Yom Kippur Ritual"; class for Kehilat Yedidya, Jerusalem, October 4, 2008. Interviewed for: Jason Antebi, "Hanukkah's Memorial"
Readers Digest (Canada) December, 2008. Panelist, "A Game of Chess or a Game of Chance! : Religion's Perspective on the Theory of Evolution." World Religions Conference sponsored by Ahmadiyya Muslim Students Association, Chaplains' Center and the Consortium for Peace Studies University of Calgary , Calgary, Feb. 26, 2009. "The Passover Seder" class for St. David's United Church , Calgary, March 30, 2009. Interviewed for: Paul Murphy, "An Easter in Europe"
University of Calgary Gauntlet 37:16, April 16, 2009. Interviewed for: Marjorie Gottlieb Wolfe, "Headlines about Chelsea Clinton's Engagement to Marc Mezvinsky"
2010 Introduced Prof. Tariq Ramadan: "Jihad of the West: Alienation, Integration & Identity", (Calgary), March 17, 2010. Panelist, "Existence of God and the Question of Suffering," World Religions Conference sponsored by Ahmadiyya Muslim Students Association, The Multi-Faith Chaplains' Center, World Religions Conference, Journalists for Human Rights, University of Calgary , Calgary, November. 25, 2010. Interviewed for: Lea Storry "Calgarians invited to menorah lighting"
Calgary Herald, December 2, 2010, B1. 2011 Lecture on: "The Disputation of Red Deer: A Forgotten Episode in Jewish History"
Congregation House of Jacob-Mikveh Israel, January 15, 2011. Participant, Canadian Council of Christians and Jews monthly dialogue meetings, University of Calgary. Member of Rabbinic Search Committee, House of David Congregation, Calgary. Chairman, Adult Education Committee, Congregation House of Jacob. Calgary Jewish Centre Adult Education Committee. Consultant: Alberta Education Curriculum Design Branch, Grade Eight Ethics Course: The Community--Religion and Values (Respect, Tolerance) Module. Referee: Queens University Faculty Promotions Committee. Religious Affairs Chairman, Congregation House of Jacob-Mikveh Israel, Calgary. Member, Rabbinic Selection Committee, Congregation House of Jacob-Mikveh Israel, Calgary. Accepted by Queen's Bench Court of Alberta as Expert Witnesses for Crown in case of "Regina vs. Keegstra." Referee: The Social Sciences and Humanities Research Council of Canada. Co-Chairperson, Religious Affairs Committee, Congregation House of Jacob-Mikveh Israel, Calgary. Chairperson, Community Eruv Committee, Congregation House of Jacob-Mikveh Israel, Calgary. Referee, Dept. of Near Eastern Studies, University of Toronto (Faculty Promotions). Consultant for "Out of the Depths I Call to Thee, Hashem," art installation by Nell McKereghan, The Little Gallery, Art Department, University of Calgary, April 29-May 3 1996. Consultant for National Task Group on United Church-Jewish Relations: "Bearing Faithful Witness: United Church-Jewish Relations Today." Chair, The Rabbi Abraham and Evelyn Postone Scholarship for Post-Secondary Jewish Studies, Calgary Jewish Community. Web-master, Akiva Academy, Calgary (http://www.ucalgary.ca). Consultant for Canadian Council of Christians and Jews, Glossary of Jewish-Christian Dialogue. Referee: Concordia University Faculty Promotions Committee. Member, Education Committee, Calgary Jewish Community Council. Referee, York University Faculty of Arts Tenure and Promotion Committee; University of Victoria Centre for Studies in Religion & Society Faculty Fellowship Competition; University of British Columbia Department of Classical, Near Eastern and Religious Studies Search Committee (Islamic Studies). Member of Advisory Panel, "Approaching Judaism" series, Vision TV. Referee, Killam Programs, Canada Council for the Arts; Bar-Ilan University (Ramat-Gan, Israel) Faculty of Jewish Studies Promotions Committee. Judge: Dov And Arlein Chetner Chai Essay Contest, Jewish Community Foundation Of Calgary. Referee, Cambridge University Press (Religion and Anthropology). 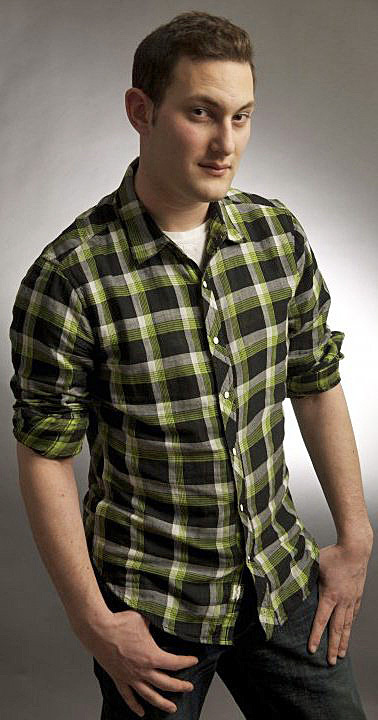 Referee, Killam Programs, Canada Council for the Arts. Jewish Studies--an Internet Journal (Bar-Ilan University). The Eye of the Heart: a Journal of Traditional Wisdom, published by La Trobe University, Australia. 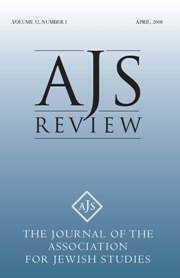 Journal of the American Academy of Religion; Jewish Studies--an Internet Journal (Bar-Ilan University. 2012 Manuscript reviewer, Cambridge University Press. Referee, Oqimta: Studies in Talmudic and Rabbinic Literature. 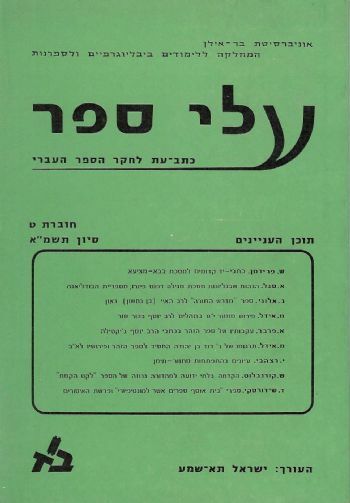 Referee, Zion Hebrew journal of Jewish History. Consultant, "Faith on the Frontier" educational program, Heritage Park, Calgary. (Ikhnat Ra XIII, pseudonym) "Front Page...Showed Bias" (Satire), The Jewish Star (Calgary/Edmonton), April 29-May 12, 1988. "A Rock for a Rock", The Jewish Star (Calgary/Edmonton), May 27-June 9, 1988, pp.4-7. "New Discoveries Shed Light on Temple Rituals," Jewish Free Press, Calgary, Jan. 15, 1991, p. 10. "Vowels to Poland," Jewish Free Press, Calgary, March 16, 1992, p. 9. "The Revenge of the Tom Swifty" Jewish Free Press, Calgary, June 16, 1994, p. 8. World Wide Web site (http://www.ucalgary.ca/~elsegal) containing full range of class notes and materials for undergraduate courses in Religious Studies Western Religions. World Wide Web site (http://www.ucalgary.ca/~elsegal/Shokel/Art_Index.html) containing over 100 original Judaica newspaper articles from Calgary Jewish Star and Jewish Free Press with annotation and bibliogrpahical notes. HTML image map guide to "Varieties of Orthodox Judaism" (http://www.ucalgary.ca/~elsegal/363_Transp/08_Orthodoxy.html). The Synagogue's Role in Jewish Life. Member, Committee on Law and the Liberal Arts. Humanities Representative to Faculty of Education Full Council. Member, Conjoint Areas Research Ethics Committee. Member, Policy Committee, Faculty of Graduate Studies. Member, Faculty of Humanities Computer Committee. Faculty of Humanities Ad Hoc Committee to Review the Language Learning Facilities. Lectures and Colloquia Chair, Dept. of Religious Studies. Elected representative, Faculty of Humanities Executive Committee. Faculty of Humanities Representative to General Studies Appeals Committee. Member, Faculty of Graduate Studies Committee to Review Student Progress Reports. Member of General Faculties Council Academic Awards Committee. Dept. of Religious Studies, Liaison for Off-Campus courses. Chair, Faculty of Humanities Appeals Committee. Member, Faculty of Humanities Committee to Review Teaching Evaluation Process. Departmental Co-Ordinator, "Envisioning Transformation" Week, Feb. 12-16 1996. Dept. of Religious Studies Undergraduate Advisor. Religious Studies Representative to Humanities Curriculum and Academic Review Committee. Religious Studies Representative to Humanities "Mandatory Orientation" Planning Committee. Department of Religious Studies Undergraduate Advisor. Faculty of Humanities Academic Appointment Review Committee. Humanities external representative, appointment committee for limited term position in Creative Writing, Department of English. Chair, Faculty of Humanities Student Appeals Committee. Coordinator, Calgary Board of Education World Religions workshop series. Member, Teaching and Learning Funding Committee. Graduate Program Director, Department of Religious Studies. Judge, Gnosis undergraduate essay competition, Department of Religious Studies. 1985-6 University of California Berkeley, Dept. of Near Eastern Studies: Hannah Harrington (PhD, Interim); Robert Kirschner (PhD, Interim); Jonathan Seidel (PhD, Interim). Dept. of Religious Studies: Kurt Widmer (MA, Interim). Dept. of Religious Studies: Diana Elson: "Where Was God In All This?' Elie Wiesel, the Holocaust and Hasidism" (BA Honours). D. Bergen Thesis: The "Book of the Law" in Deuteronomistic History" A Synchronic Reassessment of the Deuteronomic-Josianic Link Rels Supervisor: L. Eslinger. R. Klassen Thesis: The Book of Job Rels Supervisor: L. Eslinger. 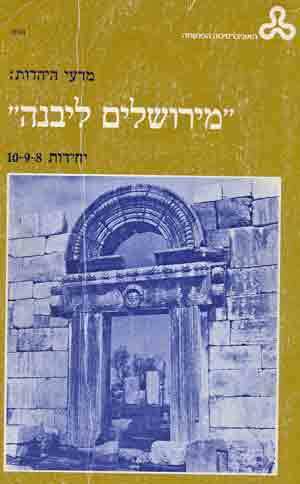 A. Yarchi Thesis: T B Sota VIII, Text and Comprehensive Commentary Department of Talmud, Bar-Ilan University	 Supervisor: S. Friedman.